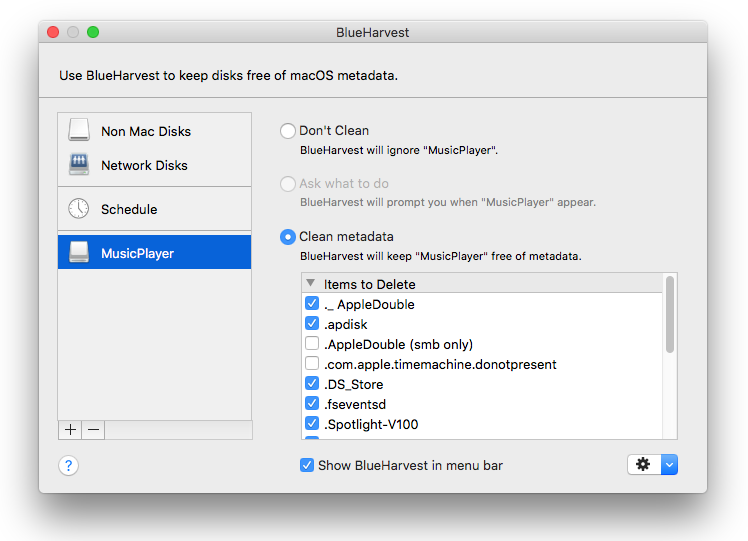 While BlueHarvest is very easy to use, it isn't a toy, so be sure to read the How To and FAQ before installing. BlueHarvest includes language support for Chinese, Dutch, English, French, German, Italian, Japanese, Portuguese, Russian and Spanish. 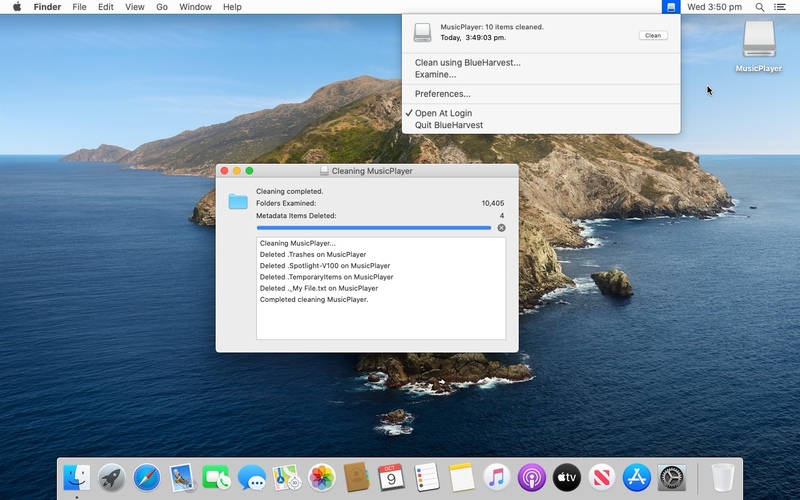 To allow .Spotlight folders to be deleted, grant BlueHarvest "Full Disk Access" under System Preferences -> Security and Privacy -> Privacy -> Full Disk Access. MacWorld, MacFixIt, MacUpdate, Versiontracker, MacOSXHints, iusethis.com, Low End Mac. Read the BlueHarvest end user license agreement.